What is ALMA and what is its significance? 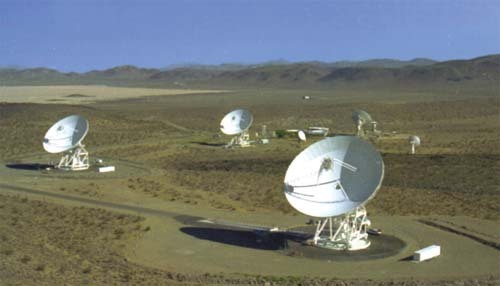 The Atacama Large Millimeter/Submillimeter Array (ALMA) is an international radio 248 telescope facility located high in the Chajnantor Plateau in the Atacama Desert of northern Chile, at an altitude of 16,600 feet (5,060 meters) above sea level in one of the driest regions of the world. ALMA consists of sixty-six dishes optimized to detect electromagnetic radiation with wavelengths above or below about one millimeter—the kind of radiation produced most prevalently by molecular gas in the universe, which in turn is used by astronomers to study the birth of planets, stars, and galaxies. By many measures, ALMA is the world’s most powerful radio and microwave observatory.